The Art of Pulling Things Out of a Hat. 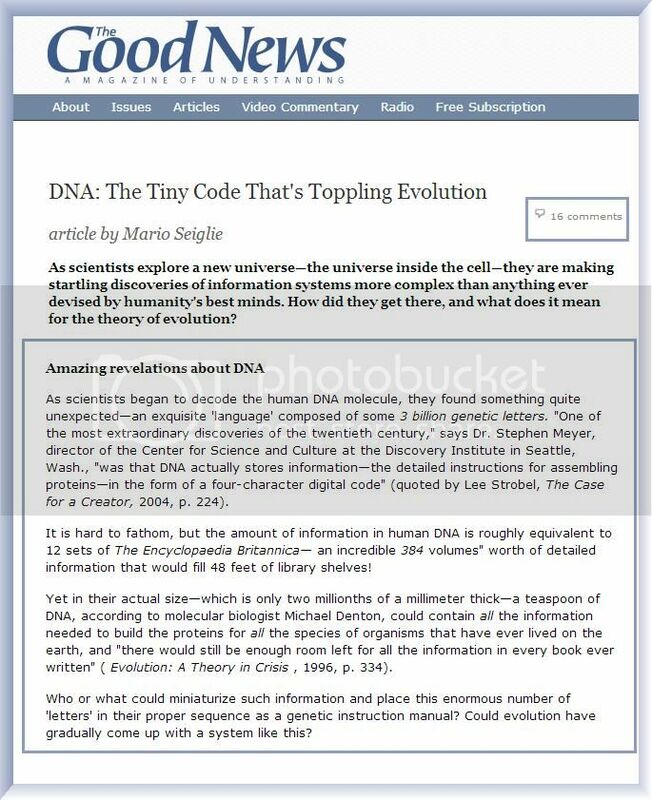 I started reading this article "DNA: The Tiny Code That's Toppling Evolution" thinking it was science based. Lo and Behold, after a few paragraphs, I was hit with the same ole, same ole conjecture to prove Darwin's Theory of Evolution wrong. The comments exposed the sheer ignorance of those who identify themselves as Creationists, except for one lonely (thinking) soul who felt the need to include a common sense opinion... 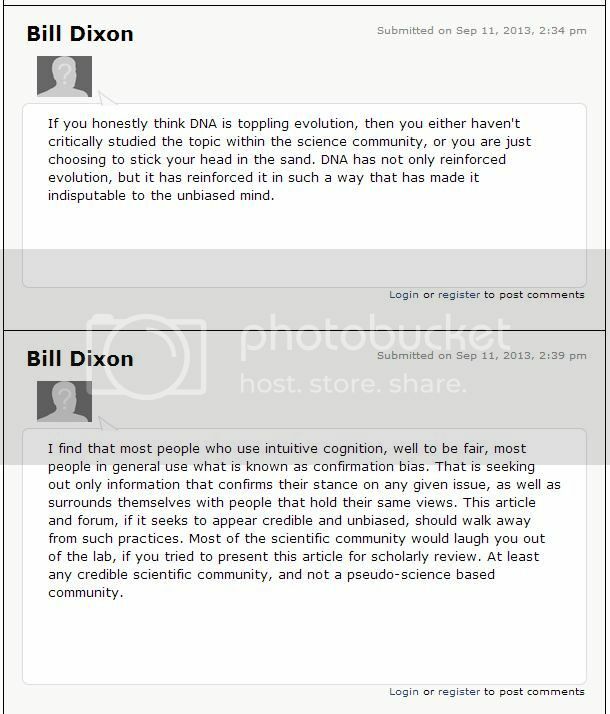 I am so thankful there are people (like Bill Dixon) willing (without animosity) to express scientific ideas of fact and reality. Once again, pity to those who cannot think above their indoctrinations.